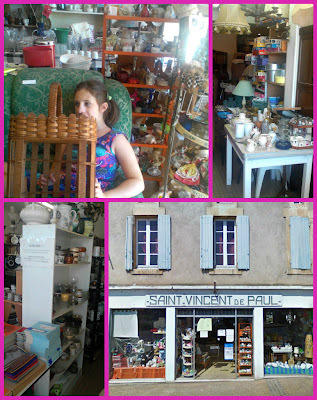 Suzanne's Tribe: The best charity shop in the world .... so far! So we went to a local market - that we go to every time we are here and couldn't find it! Ended up in a tourist office and they directed us. Was very restrained and only got a ten euro table cloth.